IFAD president honored for mobilizing institutional reforms, innovative policies and programs, and increased resources to improve the lives of millions. 6 September 2016 (NAIROBI, KENYA) – Dr. Kanayo F. Nwanze, President of the Rome-based International Fund for Agricultural Development (IFAD), will be awarded the inaugural Africa Food Prize tomorrow evening at the African Green Revolution Forum in Nairobi. The Africa Food Prize Committee, chaired by Olusegun Obasanjo, former President of Nigeria, selected Dr. Nwanze for his outstanding leadership and passionate advocacy in putting Africa’s smallholder farmers at the center of the global agricultural agenda. “Dr Nwanze is a model for how a great leader can make a difference in the lives of people on the ground,” said Obasanjo. “Whether that leader is the head of a global institution, a head of state or a head of small organization, Dr Nwanze’s accomplishments on behalf of African farmers are a reminder of what’s possible when you combine passion, good ideas, commitment, focus, hard work and dedication”. Alongside his tireless advocacy, Dr. Nwanze is credited with reorienting IFAD’s work to focus more on making small-scale farming a viable business, as well as expanding IFAD’s presence in developing countries to increase the organization’s effectiveness. The Prize also acknowledges Nwanze’s courage in reminding African leaders to go beyond promising development and change to delivering it. Congratulating the laureate, Dr. Agnes Kalibata, President of the Alliance for a Green Revolution in Africa (AGRA), said that Dr. Nwanze’s achievements reflect extremely well the ideals the award represents, putting a bright spotlight on bold initiatives and technical innovations that can be replicated across the continent to create a new era of food security and economic opportunity for all Africans. The Prize recognizes Nwanze for his individual leadership, but also for the results of successful efforts at IFAD in the years he has been at the helm. IFAD, a specialized United Nations agency and International Financial Institution dedicated to eradicating rural poverty, is not the same organization today that it was in 2009, when Nwanze took office as President. Despite a major global economic downturn, he succeeded in growing the Fund’s overall resources, with significant increases in commitments from member states. As a result of this overall increase in IFAD’s portfolio of loans and grants, its ongoing investments in Africa more than doubled – from US$1.3 billion at the start of Nwanze’s tenure to $2.7 billion in 2015 – benefiting more than 75 million rural people. Nwanze has also presided over far-reaching changes in the way IFAD approaches its work, with a focus on shifting activities from headquarters in Rome to offices in dozens of developing countries. With only six country offices in Africa a decade ago, these now number 20 in Africa with a total of 40 globally. The local offices have been key in reshaping IFAD’s business model, increasing farmers’ access to resources and improving the deployment of funds to projects. Recent studies by IFAD’s Independent Office of Evaluation show that, where country offices are present, the IFAD-funded programs and projects are generally more efficient and effective, with stronger partnerships and policy advocacy. A project in Senegal started in 2008, for example, is helping wean consumers away from expensive, imported staples by supporting the production, processing, and preparation of local foods. Participating farmers now regularly supply their products to stores across the country and, to this end, have formed partnerships with private companies. IFAD’s on-the-ground presence has allowed for regular follow-ups and the project has now benefitted more than 250,000 people, mainly by creating jobs and boosting incomes. Through other projects, IFAD has pioneered methods aimed at reversing gender inequity in more than 100,000 rural households in 8 African countries. 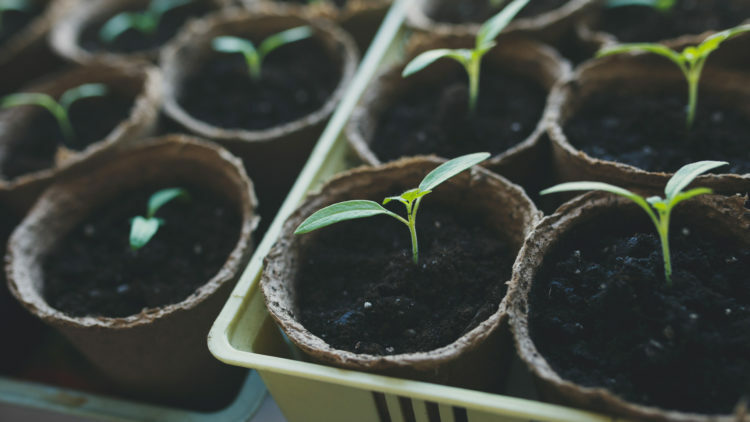 Development experts cite gender inequality as one of the greatest barriers to achieving agricultural innovation and food security in Africa and other regions of the developing world. The new methods help husbands and wives find ways to overcome poverty together, declaring a truce in the tug-of-war that usually prevails over ownership and control of productive resources. Under Dr. Nwanze’s leadership, IFAD has also taken up a more active role in the global policy dialogues. Together with its partners, it advocated for an emphasis on smallholder farmers in the Sustainable Development Goals (SDGs) adopted last year by world leaders, arguing successfully that these farmers have a central role to play in achieving a world free of hunger. By positioning IFAD as a major knowledge institution, Dr. Nwanze has also helped provide the development community with fresh ideas, evidence, and tools in support of policy dialogue aimed at identifying the best ways to transform rural livelihoods. On 14 September, IFAD will release its flagship publication, The Rural Development Report 2016, which offers guidance for policymakers in making policy choices and investments aimed at eradicating rural poverty. In addition, IFAD has renewed and diversified sources of finance for agricultural development, gaining international recognition for its role in mobilizing investment. The new global framework for development finance, the Addis Ababa Action Agenda, explicitly highlights IFAD’s pivotal role in channeling investment for smallholder development. The professional journey that led Dr. Nwanze to become a distinguished development leader started 40 years ago in agricultural research. 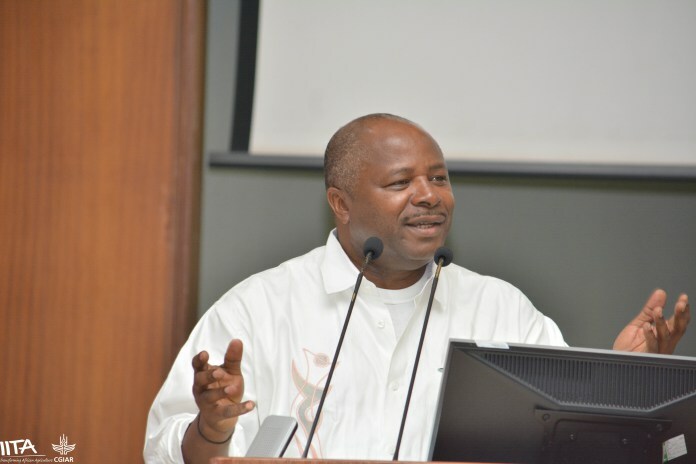 He worked as an entomologist in two CGIAR agricultural research centers, eventually becoming the director general of a third one – the Africa Rice Center. His research background has shaped his leadership of IFAD, where he sharpened its focus on a more rigorous evidence-based approach to project design, implementation and impact evaluation. Kanayo F. Nwanze, a Nigerian national, is current President of the International Fund for Agricultural Development (IFAD), which is dedicated to ensuring that agriculture is a central part of the international development agenda, and that governments recognize the concerns of smallholder farmers and other poor rural people. He has been a member of the World Economic Forum’s Global Agenda Council on Food Security since 2010. He served as Director General of the CGIAR Africa Rice Center for a decade, where he was instrumental in introducing and promoting New Rice for Africa, or NERICA, which are high-yielding, drought-tolerant, and pest-resistant varieties developed specifically for African conditions. He has served on various executive boards, has been a member of several scientific associations and has published extensively. Dr Nwanze is a recipient of honorary degrees from McGill University, Canada, and the University of Warwick, United Kingdom. 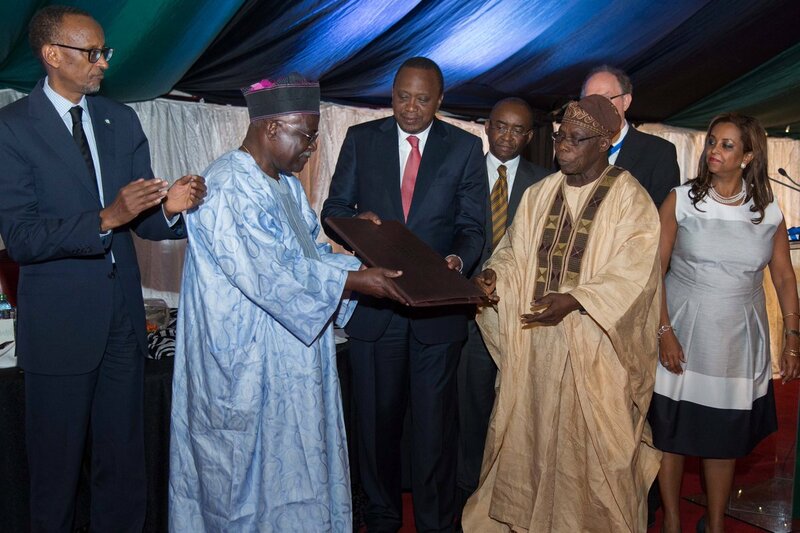 He has also received honors and awards from numerous governments and national and international institutions. The Africa Food Prize – funded by AGRA, the EcoNet Foundation, and Yara International ASA (Yara) – is the preeminent award for recognizing outstanding individuals or institutions that are leading efforts to change the reality of farming in Africa from a struggle to survive to a business that thrives. The US$100,000 prize celebrates Africans who are taking control of Africa’s agricultural agenda. It puts a bright spotlight on bold initiatives and technical innovations that can be replicated across the continent to create a new era of food security and economic opportunity for all Africans. 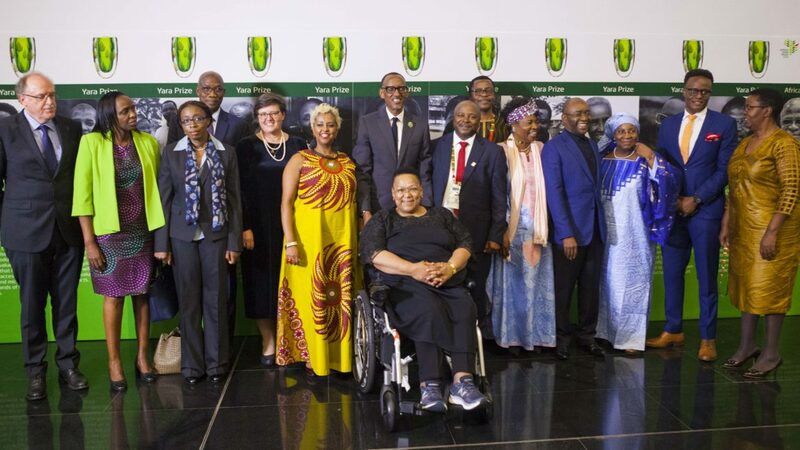 The winners are selected by an independent panel of distinguished experts in African agriculture, chaired by former Nigerian President Olusegun Obasanjo. The Africa Food Prize began as the Yara Prize, established by Yara in 2005. 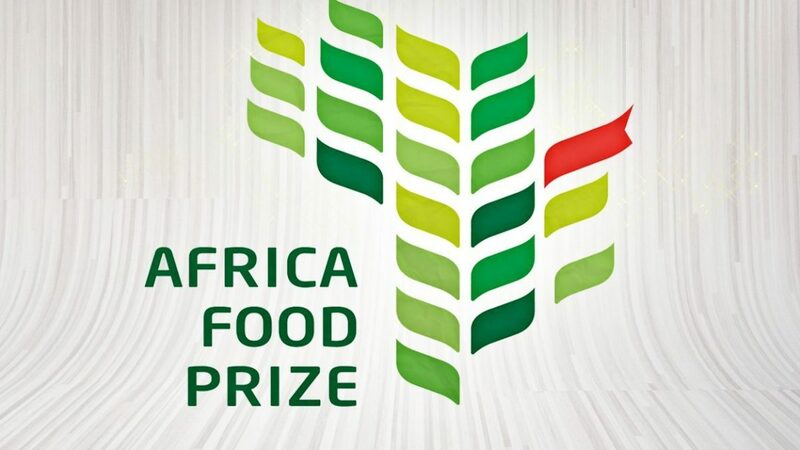 It was moved to Africa and rechristened the Africa Food Prize in 2016.